With age comes experience, but regretfully, it also brings wrinkles, frown lines, fine lines, crows feet, age spots, under eye wrinkles, and other signs of aging. Fortunately, there are non-surgical treatments available to you, including cosmetic injectables and dermal fillers. These procedures can diminish the signs of aging and help your face recapture its youthful glow! Choose no wrinkles today! Botox Cosmetic® is an FDA injectable made from a toxin produced by the bacterium Clostridium botulinum. Uses for Botox® include reducing wrinkles in the forehead and between the eyes, along with smoothing crow’s feet. Over time, the muscles above and between your eyebrows repeatedly contract and tighten, resulting in wrinkles. Wrinkle injections work by targeting the muscle activity that causes frown lines and crow’s feet to form over time. When you make facial expressions, the nerves release a neurotransmitter chemical known as acetylcholine, which binds to receptors within the muscles, making them contract. Botox® works by blocking the signal from the nerve to the muscles, causing wrinkles to relax. Results may be apparent within 24 to 48 hours, with the full effects visible at around the 30-day mark. Results of the treatment can last from three to six months. With repeated treatments, the lines and wrinkles seem to soften, as the muscles are trained to relax. As we age, the fat surrounding the cheekbones begins to deteriorate, and the collagen that enables the skin to retain its shape can start to break down. That may result in loss of volume and a hollow, sagging appearance. Dermal fillers such as Juvéderm® and Restylane® can help you restore your youthful appearance. Juvéderm® and Restylane® are non-surgical, FDA approved gel-like substances composed of hyaluronic acid, a substance naturally produced by the body. Large amounts of hyaluronic acid are found in the cells, providing your skin with moisture and a supple, youthful appearance. The body’s natural levels of hyaluronic acid decrease with age. 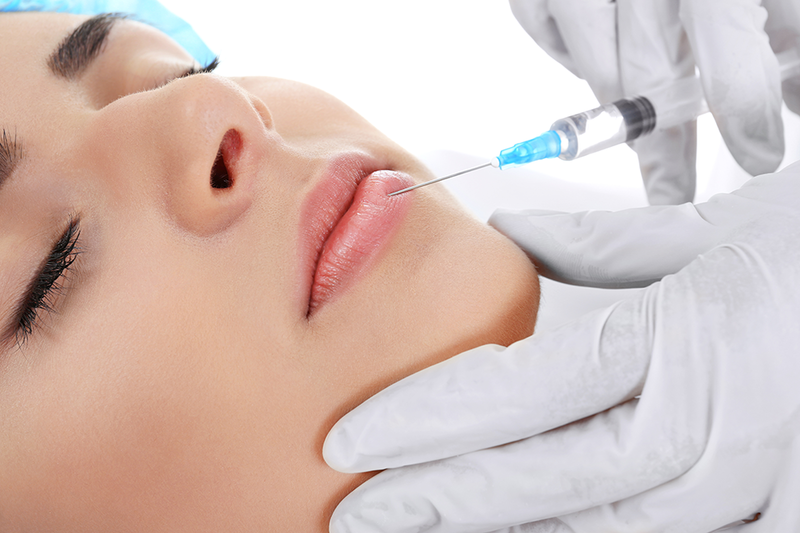 Treating your face with fillers adds hyaluronic acid back to your skin, restoring lost volume and smoothing wrinkles. Dermal fillers can also act as lip fillers, adding fullness to thin lips. Results usually last six months or even longer. Repeated treatments can prolong effects, so you never have to stop looking your best. When choosing between Botox® and Fillers, you need to consider the types of wrinkles you want to address. You may even require a combination of Fillers and Botox® for best results. Consult with our team at CWC Medical Spa to determine which treatment works best for your condition. Restore your youthful, radiant appearance today!